Why didn’t I get a cat-proof automatic feeder? 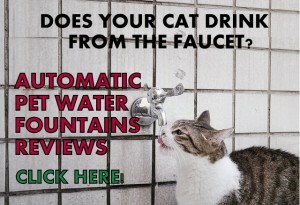 So many cat owners ask themselves this question when they end up with a broken feeder due to their “locksmith” type cat. This usually happens when a cat owner buys an automatic feeder without checking if the unit is “paws-proof”. It’s easy to underestimate the cat’s ability to manipulate objects with its paws. It’s not uncommon to see cats that have been secretly helping themselves extra meals due to a bad designed automatic feeder or worse, they destroy the feeder or learn how to open it and eat the whole content in it. First, I want to point out what is a “locksmith” type cat. 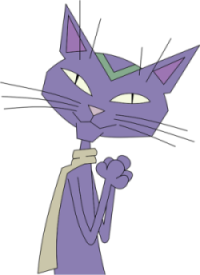 It’s a cat that manages to open things and has the ability to manipulate objects, even opening doors. Does your cat push the bowls when eating? Does your pet sneek around the kitchen? 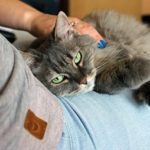 Can your pet manipulate things easily? Does your pet belong to these breeds; Syamese, Tonkinese, Burmese, Siberian, Sphynx, Turkish Van, Abyssinians, Bengal, Savannah, Ocycat? 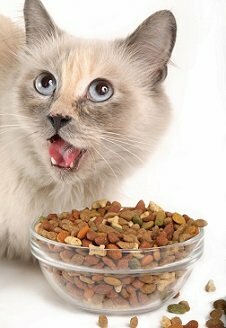 If your answer is “yes” to any of these questions, most likely your cat will try to defeat the feeder, specially if he/she is obsessed with food. 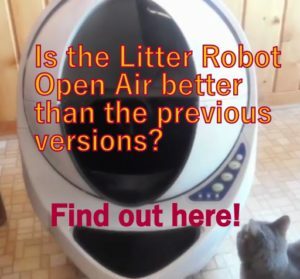 All automatic pet feeders have pros and cons but there are typical flaws that show up when a very food-obsessed cat encounters an automatic feeder. By opening the lid. They use the claws or paws to lift the lid and have a food fest. By sticking the paw inside the chute. This is the most common technique and cats can eat few kibbles at a time but enough to finish a whole extra meal by the end of the day. By shaking the feeder to make some pellet to fall. This is more extreme, but some cats hit the feeder to make them release food. By rotating the tray with their claws and eat the next meal. This requires a refined technique and these are the pure “locksmith” type cats. They insert their claws in the tiny gap between the exposed slot and the top lid and get to rotate the food tray and have access to the next meal. 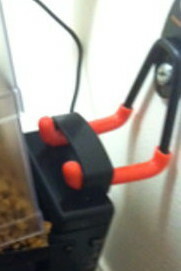 By manipulating the spring mechanism to open the lid or by inserting the claws between the lid and the food tray. Some very smart cats can manipulate the spring mechanism by pawing at it or simply biting it. This happens with the flip-lid type feeder. By flipping the whole thing over. This would be the worst scenario if your cat starts batting the unit around or/and flipping it over and finally get access to the food. A chute cover, so if the next meal sits close to the chute the cat’s paw can’t reach the food. With a design and size that can’t be tipped over or moved around by a cat. Hopefully with a hopper that is not transparent and if it is, with a secure system for the cat not to reach the food. Do all cats tend to break into automatic feeders? No, they don’t. Just as people, there are glutton cats and cats that are finicky eaters, whom eat the dispensed meal and feel satisfied. For these cats any good reliable automatic feeder works just fine. 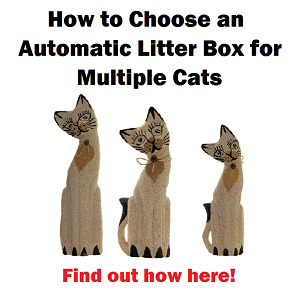 Which are the cat-proof automatic feeders? 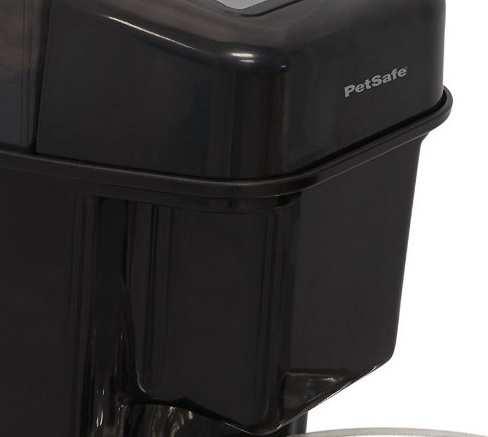 This automatic feeder is designed in a way that the cat can’t open the lid because it has a special tab lock system on the lid. You need to put the tabs in the gaps and twist the lid and turn it and it gets locked this way. Nobody without human hands can do this. Also, the unit is big and sturdy making it almost impossible for a cat to tip it over. 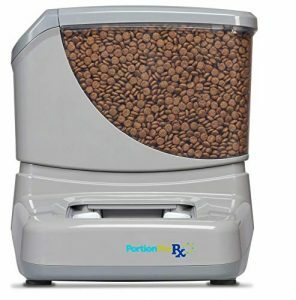 The dispensing system also makes it very hard for a cat to push/hit the unit trying to shake it and get pellets to fall down the tray because the hopper is designed in a way that leaves a very small opening where the Flax Feeder (the internal spinning piece) allows kibble by kibble to fall into the tray. This design also prevents the feeder from getting jammed. 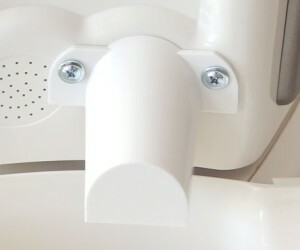 The chute is protected by a cover that screws onto the unit. This keeps the cat’s paws away from the chute. The hopper of the Pet Feedster is not transparent and it features a little vertical window where you can check the food level. 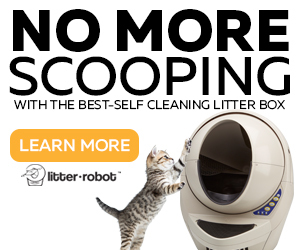 Check a full review of this automatic feeder and cat’s suitability here. 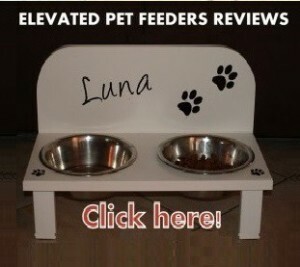 The Super Feeder features a locking system on the lid secured by screws which makes it impossible for a cat to open. Also, the hopper even though is transparent, is secured by screws and the chute is narrow and protected by a very tough poly-carbonate chute cover. The feeder also comes with mounting brackets specially to mount the feeder on a wall or anywhere away from a very obsessed cat. When mounting the feeder on a wall or tall furniture, you only leave the tray on the floor for your cat to eat with some adapting and extra materials. If your cat is big and rough, the unit’s base comes with a special handle that you can use to secure the unit in several ways, whether to a big piece of furniture or a wall. 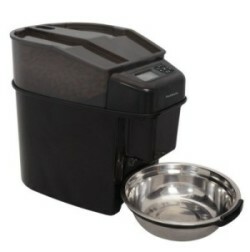 This unit can be adapted in various ways to make it work for your glutton cat. 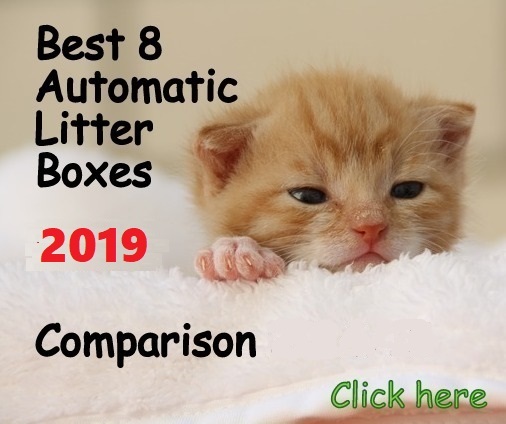 I would say that the Super Feeder is the most adaptable automatic cat feeder on the market since it’s fully assemblable so you can adapt this great feeder in multiple ways, according to your needs. 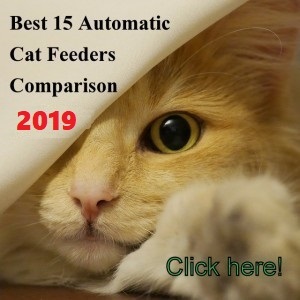 This automatic feeder is excellent for people that are handy with tools and ingenuity to adapt this unit in a way that it’ll impossible for a cat to reach the hopper. 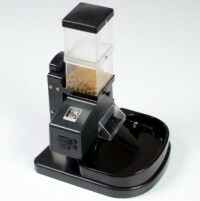 Check a full review of this automatic feeder here. This automatic feeder is sturdy and with a design that the food does not sit next to the chute because its sits on the base and gets up by a food escalator that moves the food to the chute to fall onto the tray. The chute of this unit is completely protected by a big front piece which is part of the feeder. This special design makes the chute completely unreachable by a cat. A cat would need to put the entire arm in there and even if it manages to do it, it could only get one or two kibble at the most no more. The half of the hopper is semi transparent but dark so the food can’t really be seen that well by a cat. The unit weighs 6.5 lbs so it takes a very big and strong cat to tip this unit over, it would be almost impossible, unless you have an hybrid type cat. 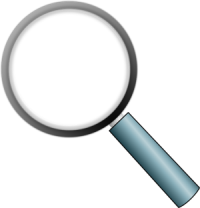 See more information of this unit in this full review. 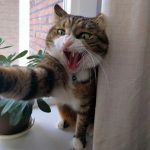 The PortionPRO RX was created for multi-pets households where one of the cats needs to eat a prescription diet or if one of your cats is being food bullied by the other pet. This automatic feeder works with a RFID sensor that blocks the food from the pet you want to block and lets only the allowed cat to eat the food. The PortionPro RX has a wide base that makes it stable. The unit weighs 7 pounds, plus 15 pounds of dry food (when full) makes it heavy and almost impossible to being tipped over by a cat. This automatic feeder has a lid whose tabs need to match the cuts on the base and then you need to twist it locked. Cats can’t do this. 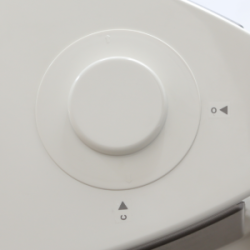 The food gate or chute of this unit features an outward swinging flap that allows the food to come out, but it doesn’t let anything to push inside the chute. This way, cats can’t do the trick of sticking their paws inside, trying to steal food from the next meal. 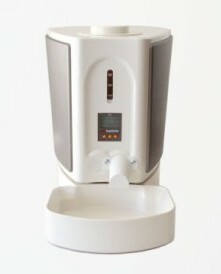 Check more details on my PortionPro RX review and decide if this device is what you need for your cat. 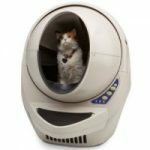 If you have a cat that manages to break into your current automatic pet feeder, consider these cat proof feeders when getting the next one.